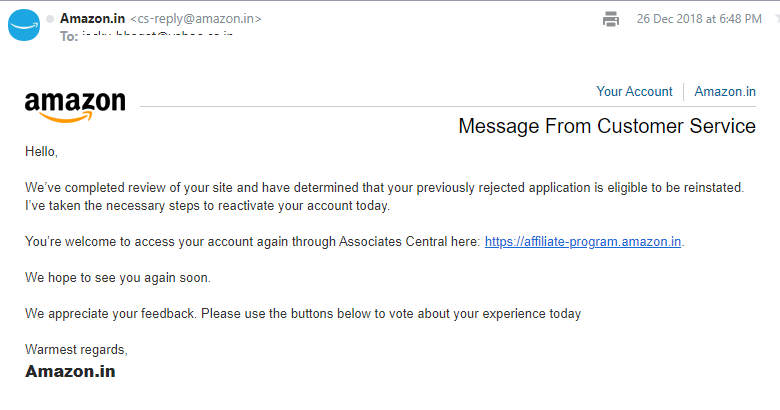 I didn't find good information on what to do when Amazon Affiliate Account is closed or is not accepted. So I am writing this post. I hope it will help. 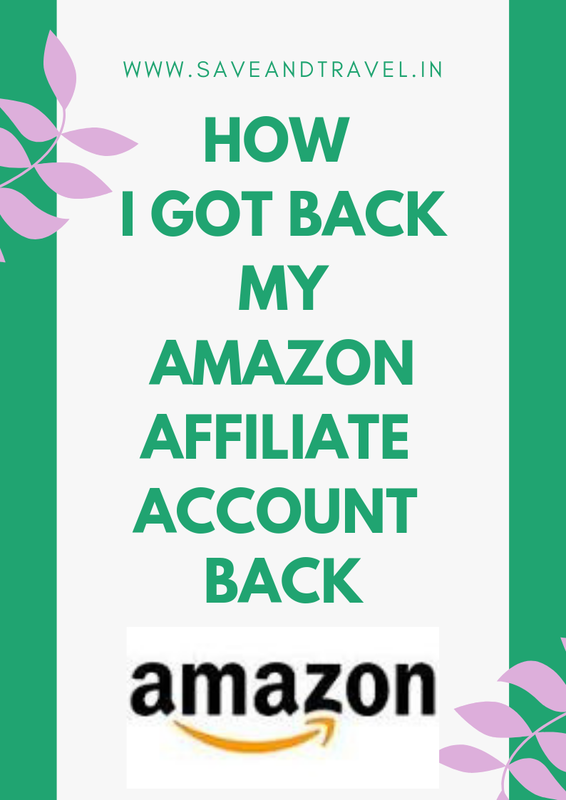 I learn that many members who have earned in three digit and when their Amazon Affiliate Account didn't get approved, they applied for a new account and this way they lost all their earning. But there is another way and you can get your account back. Here is what I did to get my Amazon Account Reinstated. I applied for Amazon Associate Application on 16 November 2018. I got the Amazon Associated Id the next day and started linking product to my website. I was happy and things were going smooth. I made some purchase using my own links. I saw that I didn't get any commission. The next month on December 15, I made a sale from my website and I saw the earning once the product was shipped. I was very happy but the next day I got a mail saying that my application was not accepted. I searched on the web and most of the posts said that once it is denied, you will have to apply a new id. It made me sad and I realize that I have to do this all over again. 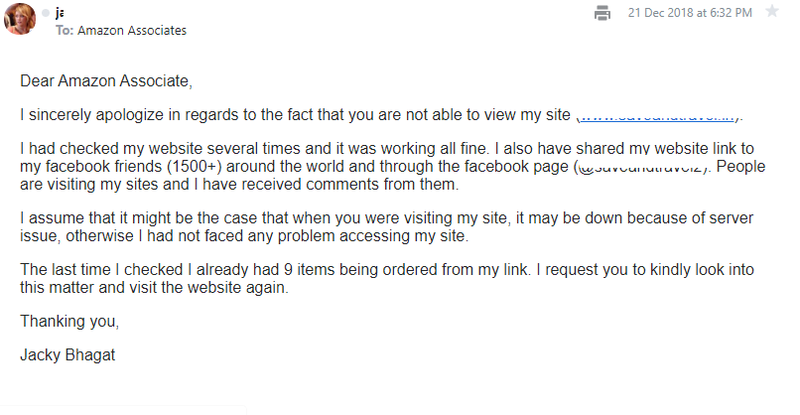 Then I came across a webpage saying that someone got their account back by contacting the customer care and writing an email back to them. I wrote them this email.